Prescot Dig - Why did people in the past live underground? When visiting an archaeological site, it can be confusing to see lots of deep holes and the remains of buildings at the bottom. Did people really live so deep underground? People in the past did not behave the same as we do in the 21st Century. They did not have a weekly rubbish collection and recycling facilities to take waste away from where they lived. Rubbish was different in the past as well – there wasn’t much packaging to throw away, and most things that got chucked out would rot down – unlike today’s huge landfill sites full of plastic. 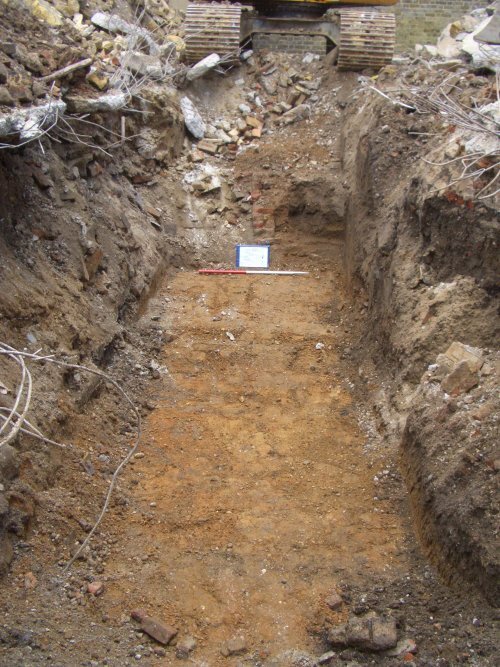 Rubbish was buried in specially dug pits, or piled up into what archaeologists call middens. 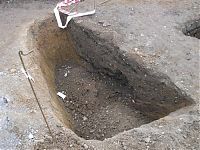 When a rubbish pit was dug, the soil from the hole was thrown to the side, which raised the ground level – once the pit was full of rubbish, it was covered over – and the ground level became much higher where the pit was dug. When we build new houses or roads in the 21st Century, we usually pull down any buildings or dig up old roads first. In the past, people would build on top of the previous structure. The stone and trenches where the stones were set for the foundations can be seen in many archaeological excavations. Abandoned buildings were often used as sources for materials for other buildings in the past, and archaeologists call this reuse of material ‘robbing out’. In towns and cities, where space is at a premium, things tend to get built over rather than around, and any holes fill up quickly with dirt, soil, rotting rubbish, leaves and dead animals. 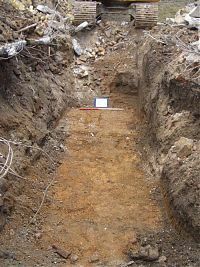 In rural areas, archaeological remains can often lie quite close to the surface of the soil, and if they are on a slope, will often get ‘soil wash’ over if it rains – a mixture of rainwater and soil – that eventually covers the site. If the site is under a field which is regularly ploughed, the machinery will churn up the archaeological remains and move them around. Many archaeological sites are being destroyed by ploughing. 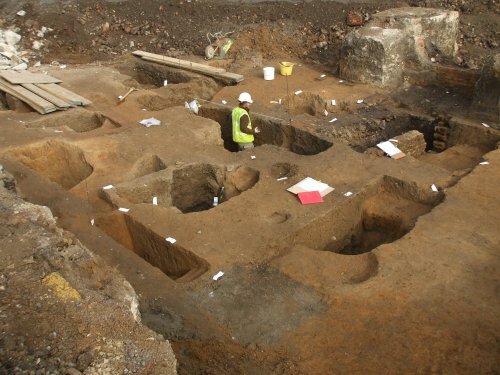 It can be very confusing to visit an archaeological site and only see the remains of the foundations of buildings. It is very difficult to imagine that these were once complete buildings with rooms, roofs and people living there. There is often little in the archaeological evidence to indicate upper stories to the dwellings – unless we find a staircase, which is very rare. What you see in the ground at some archaeological sites are just the foundations, and the buildings would be metres taller. So the answer to the question is no, people didn’t live under ground – people in the 21st century just live on top of hundreds of years of dirt, rubbish and old buildings!